Shanghai music lovers to savor two of worlds great tenors – Peoples Daily Online. Two of the world’s top tenors are performing in Shanghai in the last week of April. The biggest-selling artist in the history of classical music, Italian tenor Andrea Bocelliwill give his one and only concert on the Chinese mainland this year, at Mercedes-BenzArena on April 30. Jose Carreras, one of “The Three Tenors”, will perform a solo concert in DaningTheater in Shanghai on May 2. Carreras, from Spain, together with his fellow countryman Placido Domingo and ItalianLuciano Pavarotti, toured extensively from 1990 to 2003 under the banner “The ThreeTenors”, achieving global recognition and commercial success. 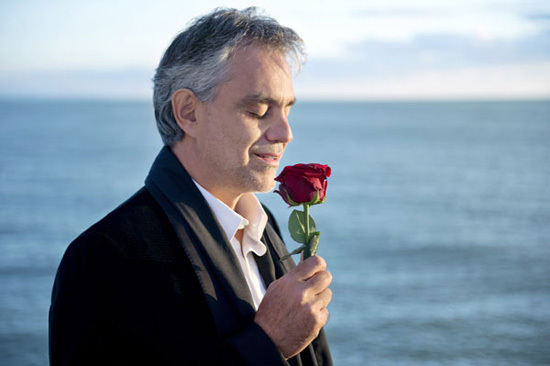 Bocelli was born in 1958 and is 12 years younger than Carreras. He was sometimescalled “the Fourth Tenor”. Pavarotti, who died in 2007, was known to say of Bocelli: “Iwill not sing better than him”. Bocelli, however, did not like to make comparisons. He told China Daily that the lasttime he saw Pavarotti: “He was already very ill, we spent the whole time speaking ofmusic, of voices, of performances. Both Bocelli and Carreras have long ties with China. Bocelli performed solo concerts inShanghai and Beijing in 2003 and 2004. He sang at the opening ceremony of theWorld Expo Shanghai in 2010, and in 2011, he held two concerts in Beijing as part ofhis tour of Asia. Carreras has also performed in China multiple times and recorded aChinese folk song In a Faraway Place for one of his albums. Bocelli chose Shanghai for his 2013 concert tour as “the result of a series of morecomplex contingencies”, but said he was happy to return to the Chinese city. “I am eager to meet once again those wonderful audiences that have already shown somuch affection for me, and at the same time re-live the magic of a unique town, amixture of East and West, futuristic architecture and traditional pagoda houses,” Bocellisays.